Methylphenidate and Adderall: Which Stimulant is More Safe and Efficient? Both Methylphenidate and Adderall treat ADHD. They alter the activity of certain chemicals in the brain and produce favorable results in the patients who have ADHD. Understandably, the comparison, Methylphenidate vs. Adderall, is an ongoing query among the patients. Ritalin is the most commonly used brand name for Methylphenidate. On the other hand, Adderall is a brand which contains two amphetamines in a single preparation. They are Amphetamine and Dextroamphetamine. What are the Similarities of Ritalin and Adderall? Is It Better to Get High on Ritalin or Adderall? What Is the Difference Between Adderall and Ritalin? 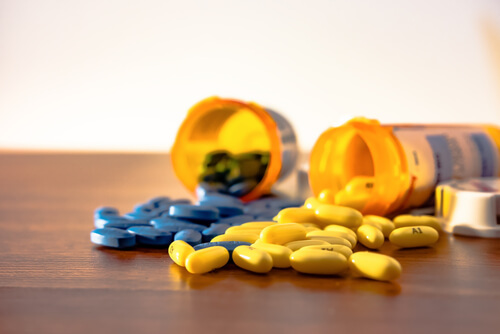 Which Drug is More Addictive – Methylphenidate or Adderall? Which Drug is Better – Adderall or Methylphenidate? Ritalin and Adderall may contain different ingredients. However, they classify both as Central Nervous System (CNS) stimulants. Both drugs are clinically approved and commonly used to treat different conditions. For example, Attention Deficit Hyperactivity Disorder (ADHD) and sleep disorders such as narcolepsy. Both Ritalin and Adderall are prescription drugs. As a result, both can help patients increase focus and reduce impulsive behavior. Some doctors even prescribe one of these drugs to treat obesity and aid in weight loss. Ritalin and Adderall are examples of addictive drugs and stimulants. As a result, they stimulate the ‘’reward circuit’’ in the human brain. This creates memories that link the substance to a pleasurable reward. In the case of stimulants, this would be the feeling that you get when taking Ritalin or Adderall. In essence, it is possible to misuse both Ritalin and Adderall. As a result, they will have the same effect on the brain as cocaine would have. You get a Ritalin high crushing and snorting it. Otherwise, you can dissolve it in water and then drinking the substance. In some cases, you can inject the solution intravenously. Another method called ‘’parachuting’’. This is where you crush Ritalin and wrapped in either tissue or other soft paper and swallow it. Incidentally, it is also popular among Ritalin abusers. What about Adderall? It can also be snorted, parachuted or injected to achieve high. However, plugging and smoking are also possible and seem to be more effective and fast way to reach euphoria. Many parameters can provide a clearer picture of this comparison. Nonetheless, the key lies in considering those which are relevant to the end users. It is the doctor who makes the final decision about which medication to prescribe. Nevertheless, the patients always deserve the right to follow the decision. After going through the following comparison, you can expect to select the medication that best meets your need. Also, take care if one medication is going to cost you more than the other. The active ingredients in Adderall differ from those in Ritalin. Ritalin’s main active ingredient is Methylphenidate. Conversely, Adderall is a mixture of amphetamine salts, Dextroamphetamine and Levoamphetamine. Both the drugs are equally effective in treating ADHD and narcolepsy, according to a large number of scientific studies. Unfortunately, almost all of these studies are decades old. Also, the number of participants in the studies was insufficient to draw a conclusion. We may have to wait for a few more years to get the results from the new studies. Some patients who do not improve with Methylphenidate have shown satisfactory results after switching to Adderall, and vice-versa. As for now, take the one that your doctor prescribes. Cost is the most important factor to make a choice of medication, next only to effectiveness. Ritalin and Adderall cost almost the same, and your provider may cover it. Notably, it depends on the insurance plan you have taken. Contact your provider to get more details on this. Adderall is available in the form of tablets and extended-release capsules. In the same way, you can get standard tablets, sustained-release tablets and long-acting capsules of Ritalin in the pharmacy. Also, there is only a slight variation in the available strengths of these medications. Ritalin vs Adderall: Which stimulant lasts longer? How long a medication stays and acts inside the body depends on the formulation you take. Long-acting formulations such as extended-release or sustained-release tablets/capsules work for a longer time than regular tablets/capsules. As a result, you will have to take them less frequently. Most notably, effects of Adderall extended-release tablets last for around 12 hours. The Methylphenidate half-life depends on the huge number of variables and can be different for each particular case. In general, Adderall is believed to be twice as potent as Ritalin. Adderall’s effect lasts up to 4 – 5 hours, compared to Ritalin’s 3 – 4 hours. However, each user will respond differently to both medications. Sometimes, you can have different factors and conditions. They include nutrition, other medications, and estrogen levels. As a result, they can all influence the potency of the drug. They work by similar. Hence, there is not much difference in the side effects they may cause. 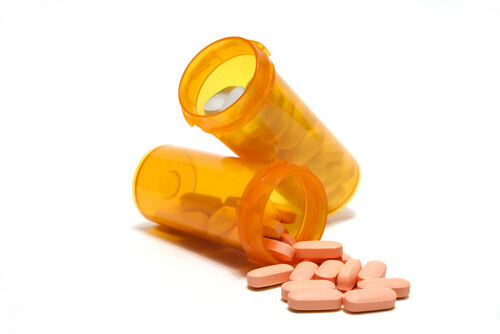 However, Adderall may produce some complications if you have some heart ailments. Hence, talk to your doctor immediately if you have palpitations, elevated blood pressure or increased heartbeat while taking it. The withdrawal from Ritalin and Adderall differ slightly. Adderall withdrawal may cause extreme fatigue, irritability, insomnia, and depression. However, withdrawal symptoms from Ritalin may include psychosis. Furthermore, there may be a temporary worsening of the symptoms of ADHD. Due to the improvement in diagnostic measures and increased awareness, more cases of ADHD are coming into light. Similarly, kids and teens account for a major portion of the diagnoses. For this reason, your concern for abuse is understandable. The United States Controlled Substances Act categorizes them in Schedule II. That means they carry a significant risk of abuse and subsequent addiction even with a prescriptive use. Therefore, consider taking precautionary measures while taking them. Especially, Adderall may have a higher abuse potential than Ritalin because it contains two different salts of Amphetamine. On the other hand, Methylphenidate is a single molecule. Almost every parameter in the comparison shows no significant difference between the two medications. In fact, many old studies have failed to pinpoint any difference. All things considered, we can say one may work better than the other depending on your response to the medication. Therefore, talk to your doctor. Start with one of the medications. In case you fail to show any improvement, switch to another under the physician’s recommendations. If you anyone you love is having problems with stimulant addiction, seek professional help right now. Addiction centers are equipped with every resource to help someone with an addiction. They have qualified medical professionals, individualized addiction treatment plans, and provisions for auxiliary care. With the right treatment, you can expect a complete recovery. If you or your loved one suffer from addiction to stimulants, do not hesitate to call our free and confidential helpline (888)-459-5511. Addiction Resource » Addictive Substances: The Anatomy of Drug Addiction » Methylphenidate – Price, Uses, Dosage, Side Effects and More » Methylphenidate and Adderall: Which Stimulant is More Safe and Efficient? Im prescribed medikinet XL but I stopped taking it because i got diagnosed with depression and then i took it in high doses and now im an addict to medikinet XL and i need help but i don’t want to ring someone to get help so is there anyway i can message someone to get the same advice and help or do i have to ring someone to get the help or what ?? ?